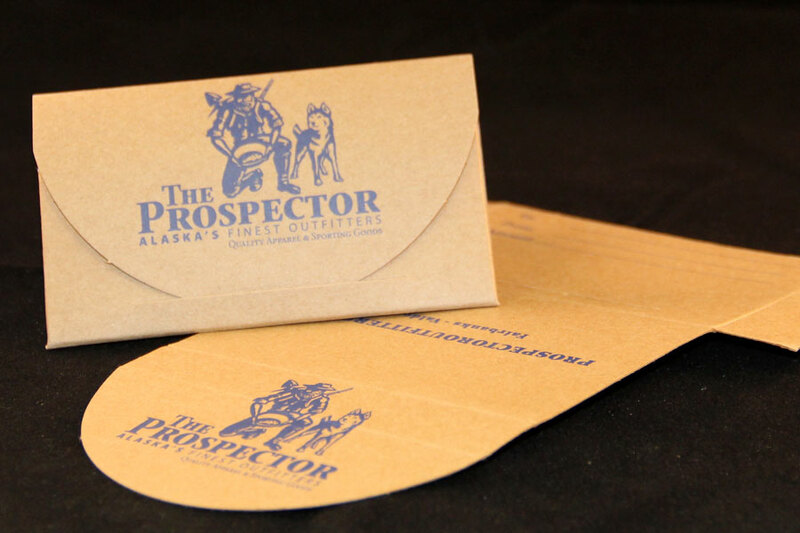 180 GSM matte chocolate paper stock with matching brown handles. 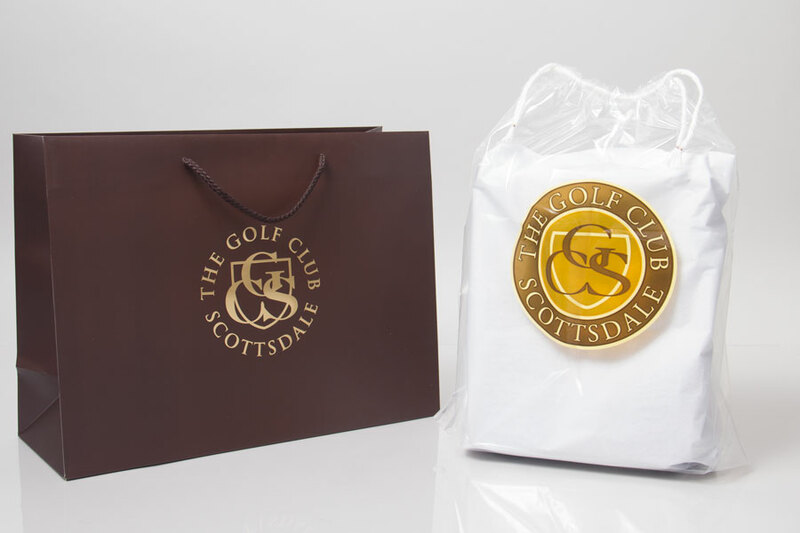 These bags are hot stamped with metallic gold foil. 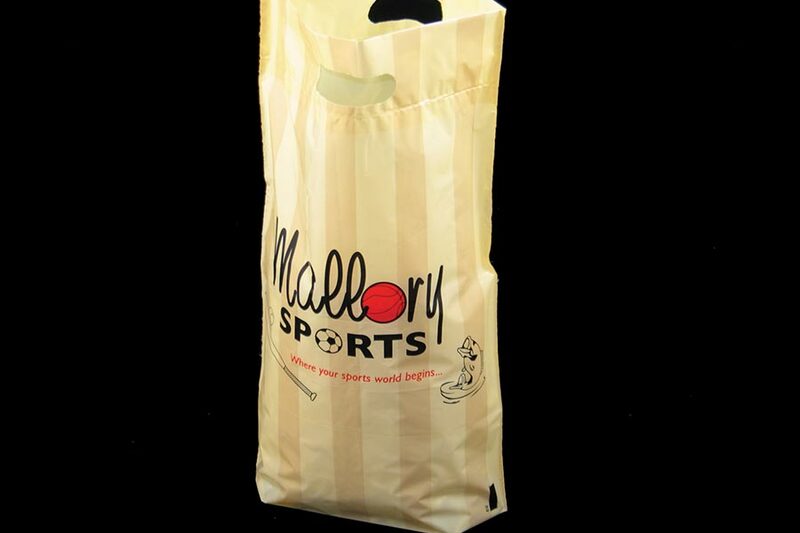 1.75 Mil Clear Poly film with drawstring handle. 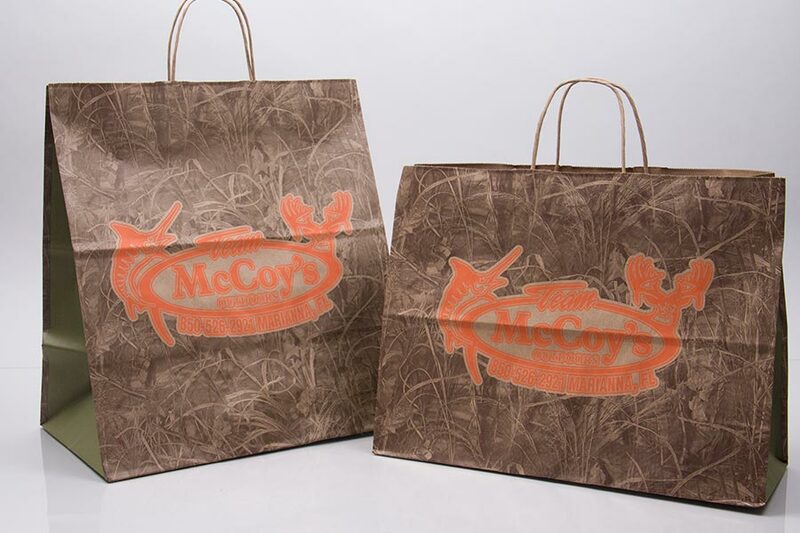 These bags are imprinted 3 colors on 2 sides. 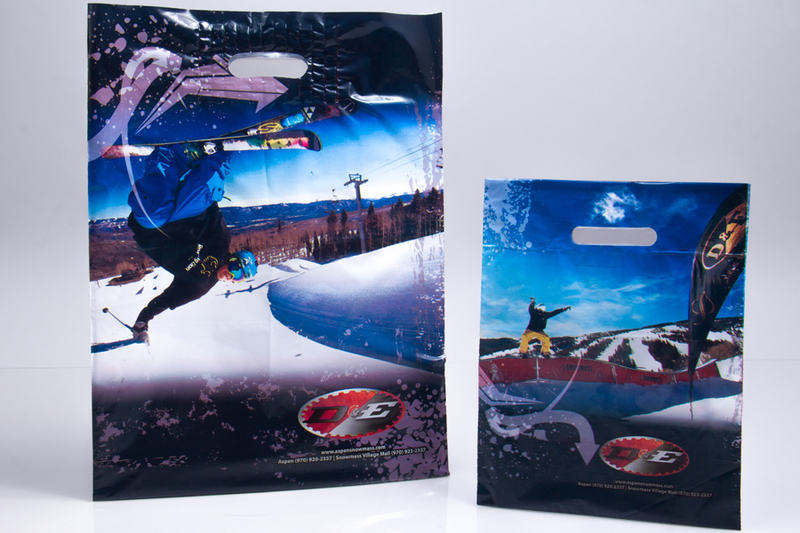 Whether your customers are on the golf course, tennis court, or skiing on the slopes, make sure you represent your brand with Morgan Chaney custom printed packaging. 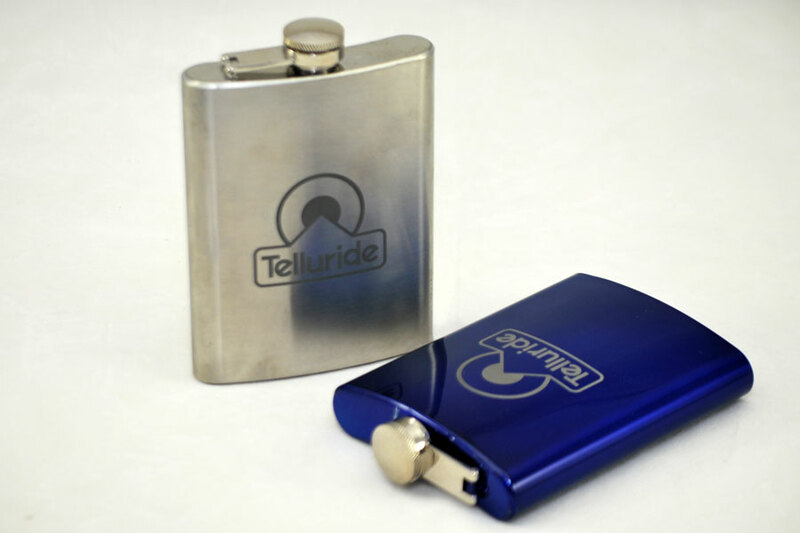 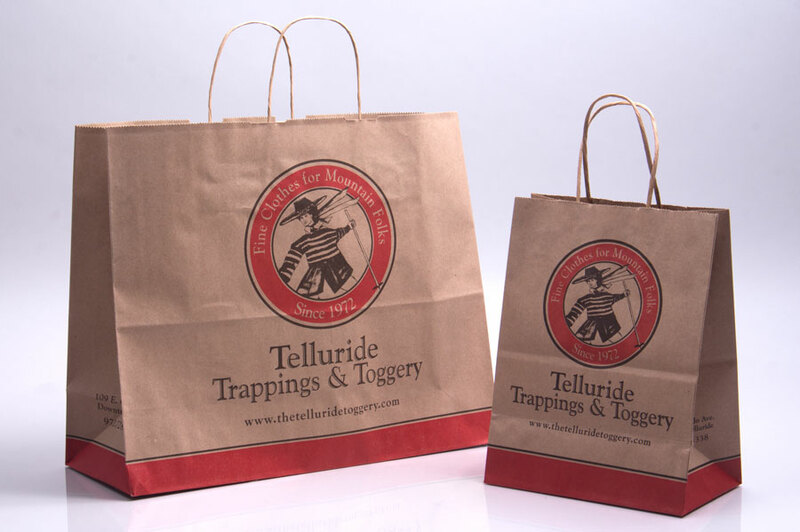 We can supply any kind of custom packaging your business needs to make a bold impression. 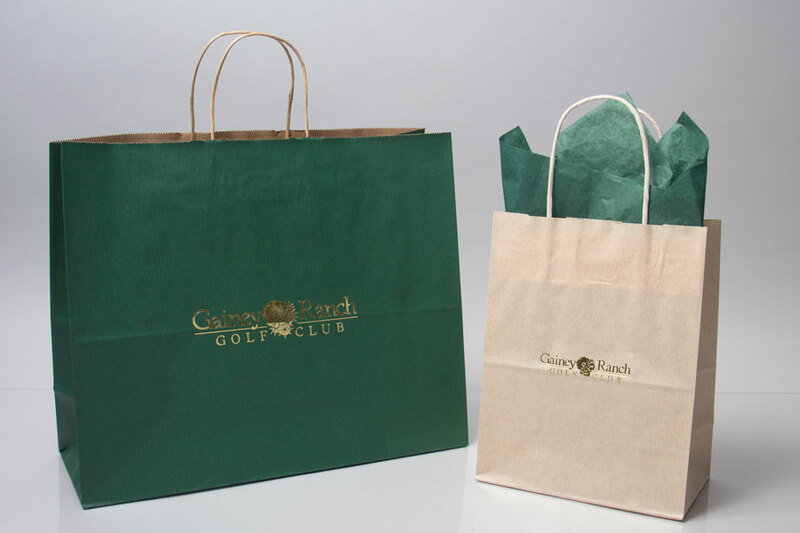 Custom shopping bags and gift boxes can be made in a variety of styles with endless color and custom printing options for your business. 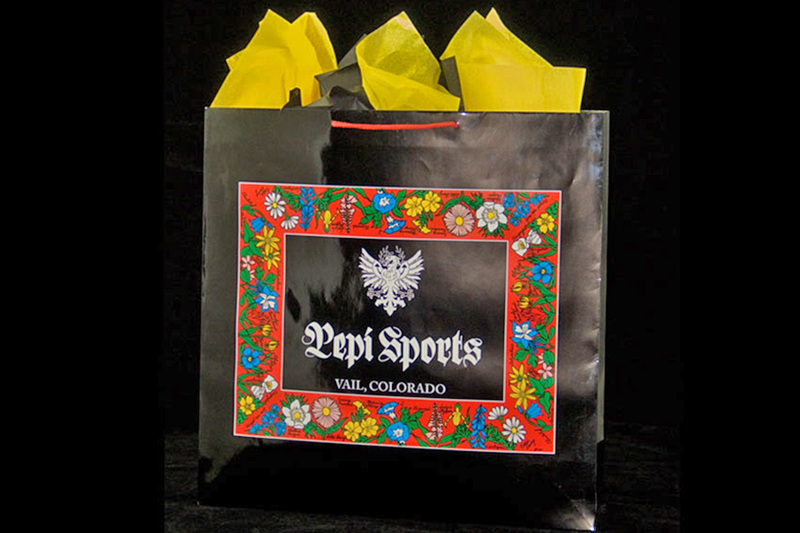 Coordinate your retail packaging with accessories like printed tissue paper, hang tags, and labels. 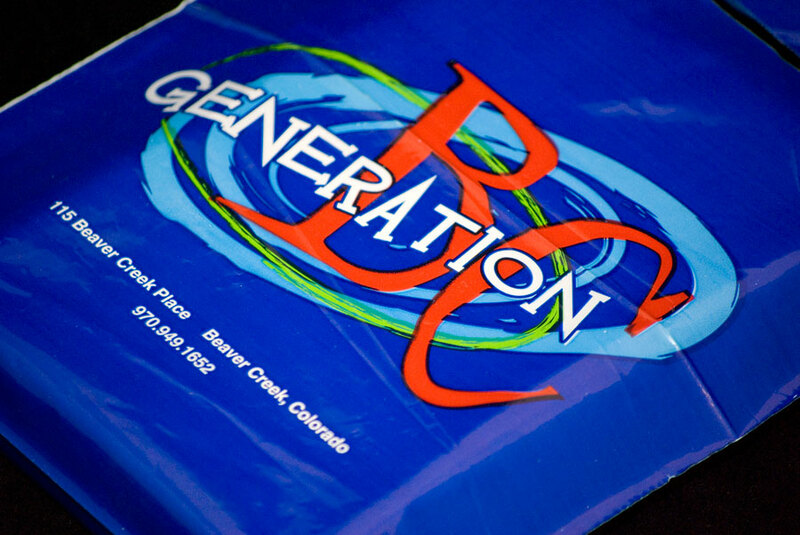 Reusable packaging like tote bags, athletic bags, and pouches can be custom designed and custom printed for your retail items. 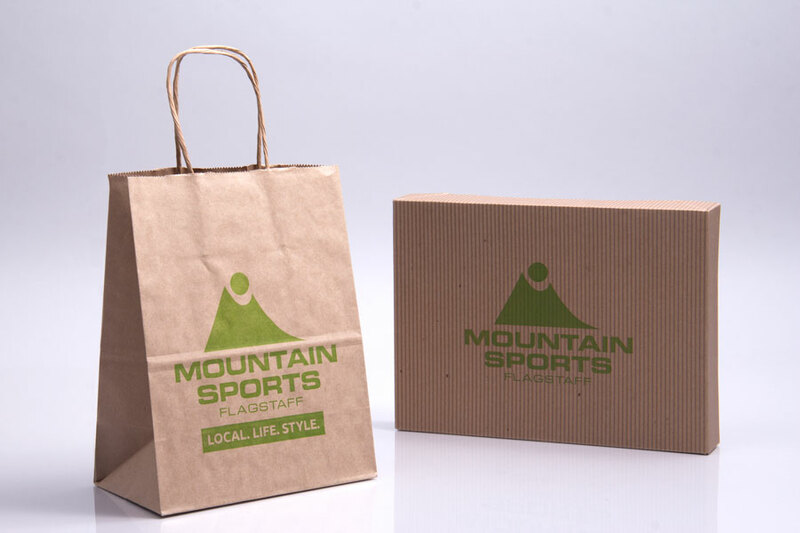 E-commerce packaging can be custom printed for your online retail products including protective packaging and accessories. 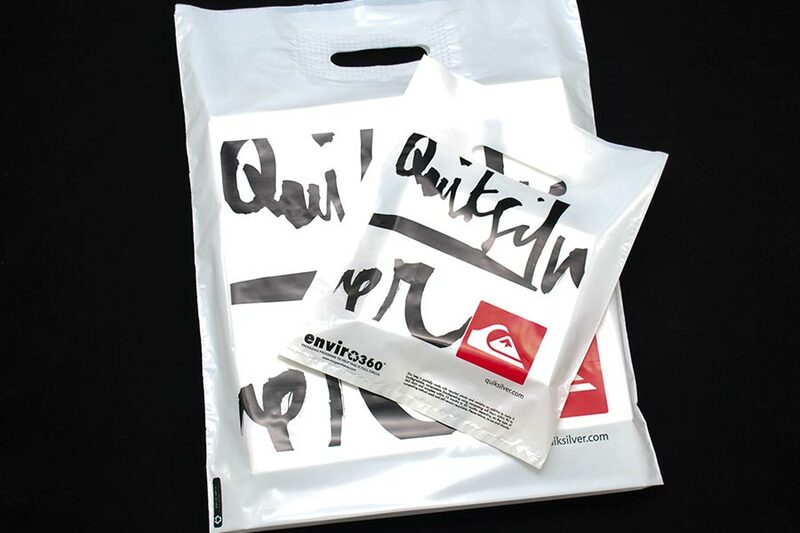 If you have environmental concerns, we can help you create custom packaging made with recycled and biodegradable materials that are eco-friendly and fashionable. 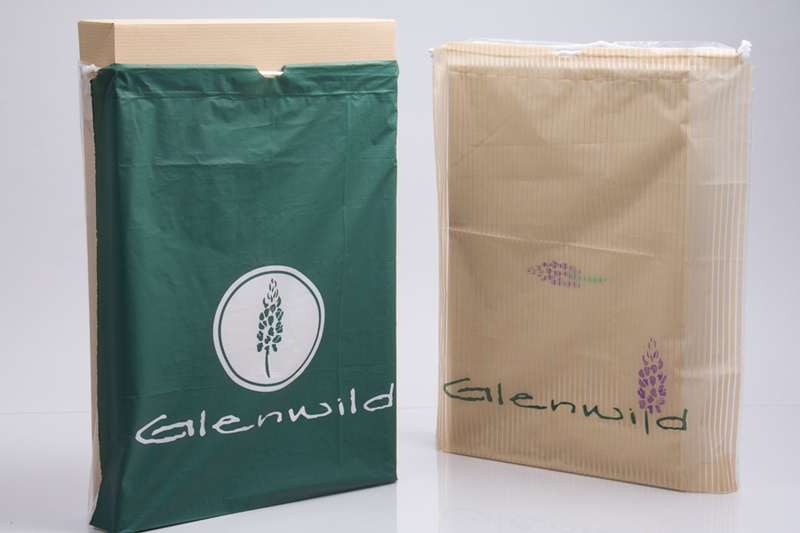 Our packaging consultants can make recommendations based on your needs and desired end products. 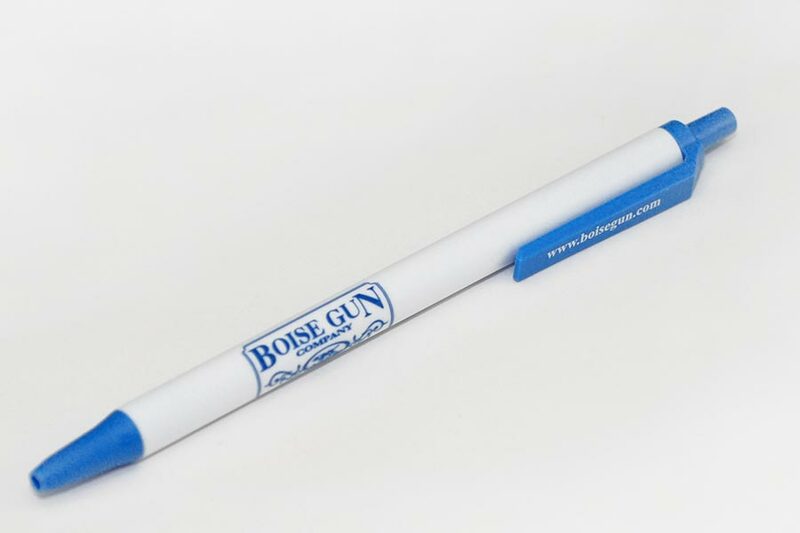 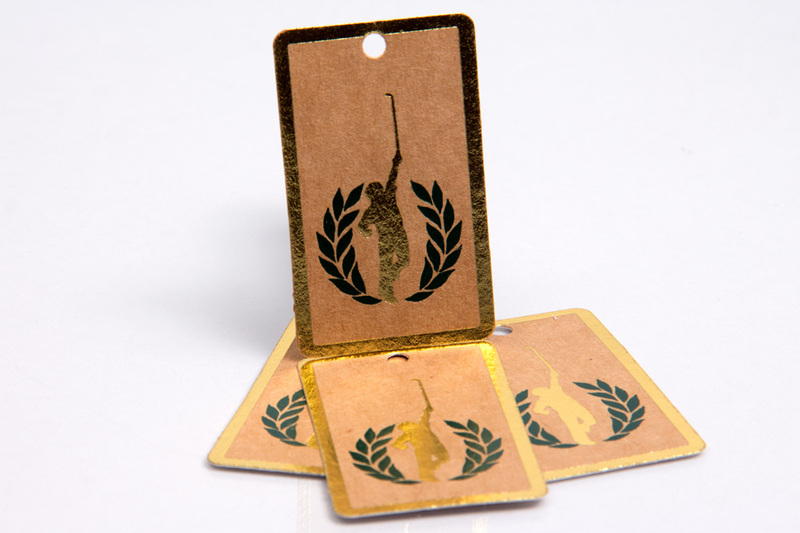 Golf clubs, sporting goods stores, and outdoor sporting goods stores can utilize custom printed shopping bags, gift card packaging, labels and hang tags, e-commerce packaging, and much more to provide customers with a memorable experience. 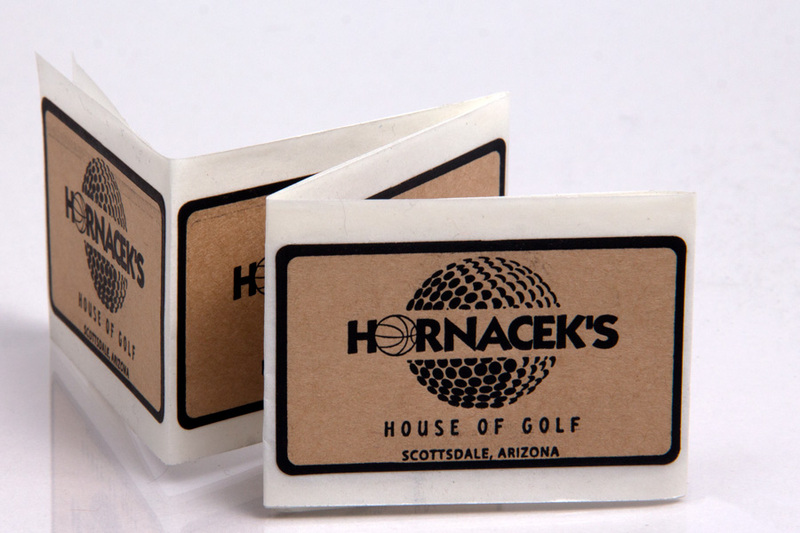 Our knowledgeable packaging consultants and graphics department can help you create a custom packaging program for your golf or sporting goods store that perfectly represents your brand.